I haven't posted in quite some time. I've been really busy at work, for starters. Also, I've given myself a permission slip to handle a few things at home like, I don't know, cook dinner, play outside with the kids, get back on my work out routine, fall asleep before midnight. Midnight is when I'm usually checking out my favorite blogs and writing some posts. But since I've been making a conscious effort to be asleep before midnight, actually, by 11pm, there's no time for blogging. I'm not too worried about losing my writing momentum, though. Because in my head, I've come up with some really great posts. These posts are funny, witty, smart, thought provoking. Exemplifies all that a great blogger has to offer. They have the ability to finally land me a spot on Oprah. Unfortunately, as quickly as I've come up with these so funny they will bring tears to your eyes posts, they have vanished. Whoosh! Just like that. My mommy brain saw them for what they were - things that could potentially take my attention away from my kids. And my working girl attitude knows that bills before blogs is the best approach. So until I'm able to recoup all of these great ideas, I have nothing really great to report other than I'm pretty well rested these days. I haven't read Permission Slips by Sherri yet, but I like the title and what it has to offer; it's what I'm going with these days. It's okay to give myself a little break, or a permission slip to be less than perfect and have at least six hours worth of sleep. Especially after planning a conference that turned out to be a fab-u-lous. So here's my permission slip: "It's okay to take a few weeks off from blogging and enjoy six hours of sleep, or more." Give yourself a break to be less than perfect! What's your permission slip say? It took me awhile, but I'm finally excited that fall is here. It did take some time letting go of summer, but there is something about the prospect of Halloween, changing leaves, pumpkin patch visits and apple picking that makes me feel like a kid all over again...We're gearing up for our annual apple picking excursion this weekend and I'm really looking forward to it. I'm also planning on dusting off my fall decorations (late of course) and adding some spice to my house. 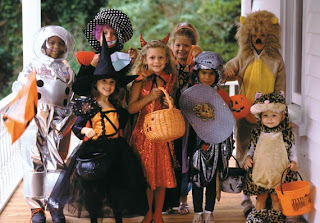 Next project is to find Halloween costumes for my troop. My first request? An Orange Blossom costume, size 4T. Then we've got Giggles' school field trip to the Pumpkin Festival. Finish off the month with homemade apple pies and the Florida vs Georgia game and we'll be more than ready to take on the winter holiday season. Hubby and I are laying in bed at 10:30 p.m. when we hear princess' bedroom door open. Of course, she doesn't want to sleep and for the past few weeks she's been relying on the well crafted argument that she "can't go to sleep." Tonight though she thought of a new reason for her slumber difficulties - she's "run out of dreams." Hubby and I just look at each other and did everything that we could not to burst with laughter. Where does she get this stuff from??? Thursday, October 15th I got an email from my (i.e. 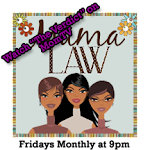 Justice Ny) mom "Hey, Today is Thursday and no comments on Blogalicious yet. What's up?" Helllllooooooo lady, we're exhausted over here - didn't you know?!?!?! I love my mom with all my heart and she loves me even more (I don't know how that's possible), but she couldn't make the trip from Canada to Atlanta for the conference and was eagerly awaiting a recap, like many of you. We finally got it together (#GIT) and are now able to share a little bit about the conference. The theme of Blogalicious 09 was "Your Wow Factor" and all we can say is "WOW!" By all accounts, the conference was a success. From the 177 attendees, to the location at W - Midtown, sessions, sponsors, and social events, the weekend was better than we imagined. We are overflowing with appreciation for the energy and excitement that radiated during the conference and continues to today on blogs and tweets gathered from all parts of the web. Conference attendees live Tweeted the event and, within the first hour of the conference on Saturday, Blogalicious09 was a Trending Topic on Twitter. There were also live broadcasts On Maria Bailey Live on momtv.com and ustream.com. Please enjoy a few photos, courtesy of Carol Cain, NYCityMama. 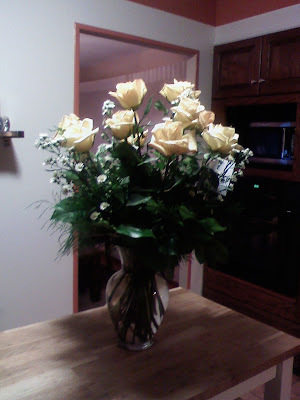 Two sets of roses in one week...I'm feeling downright spoiled! Is it wrong that I had a chuckle tonight when I saw on Facebook that hubby's once adorable, petite, svelte, caramel-skinned crush from college is now...ahem, not so petite? 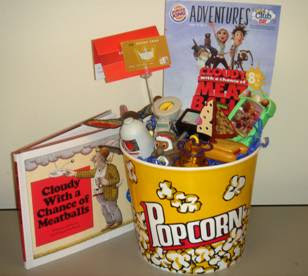 Cloudy With A Chance of Meatballs - It's a Giveaway! First, let me say that if it were raining meatballs today at least that would be an improvement on the current weather situation. It's positively miserable here! Forty degrees and very rainy. Blech. Some warm soup falling out of the sky would be fab. Second, you know I am tired when I couldn't even stay up last night to watch RHOA. I know. Can't believe it myself. And now onto the fun stuff. 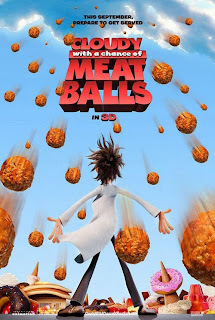 In case you haven't already heard, Burger King is teaming up with Sony Pictures Animation for the “Cloudy with a Chance of Meatballs” movie, which is currently in theatres. As part of the promotion, BK is supporting Feeding America, the film's charitable partner, by promoting awareness of Feeding America's childhood hunger initiatives and philanthropic empowerment in kids. By visiting the Club BK website, kids have the opportunity to become “Hunger Helpers” and rally behind the charitable organization, via a movie-themed online game where they can earn “Crowns” (the virtual currency for Club BK) and then donate them to show support for the Feeding America cause. They can also access more information about the charity and get tips on how to support local food banks. As it turns out, after only seven days of Club BK’s promotion, kids have donated more than 1 million Crowns in charitable shows of support to Feeding America, and have just surpassed the community’s goal. I thought that was pretty cool. Kids are still encouraged to show their support by donating Crowns, and will still receive a virtual prize for their donations. I like how BK is tying in a charitable cause with their movie promotion. And, since my kids love the computer, I think it's great that they can be playing a game that will end up helping children in need. In fact, I'm planning on using this activity as a teaching moment since giving back is something that is important to me and that I want to instill in my kids. To enter? Just leave a comment letting us know the food that you wish would fall out of the sky. I'm totally serious. A Tweet earns you an extra enty. Giveaway ends Sunday, October 19. So for the past several weeks I've had the best excuse not to tackle the thousand small and big things around the house and IRL. It was so easy to say "I'll get to that after Blogalicious." Ok, so Blogalicious has come and gone...now what!? Get on the treadmill. We got an almost-new treadmill from my neighbors that I pledged I would use during the hours in the evening/night when I might have been on Bloga conference calls, replying to emails and whatever else. I have also promised Jonesie that I would get my working out act together. Gulp. Organize my girls' room. Now that Chatterbox has started Kindergarten, she really needs an organized, dedicated space for her to do homework and other projects. Right now the table in her room houses everything from L'il Buddy's baby puzzles to princess dress-up clothing to hair accessories to "pirate treasure." It's unacceptable. Organize/re-decorate my house. 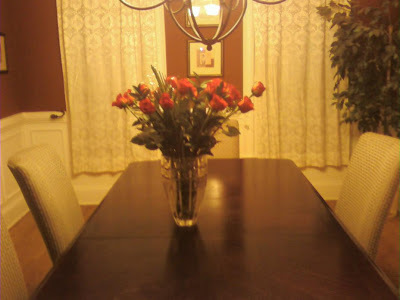 Yes, the dining room set is here, but what you don't know is that we also got new living room furniture...without having a chance to get rid of the old stuff. Our house is a melee of old and new furniture, boxes of random electronics that Hubby had to have, and a general mess. Help my aunt with her campaign. My auntie is running for mayor in her city! The election is in a couple of weeks and I've been so swamped that I haven't been able to help out with her campaign. She especially needs help with her social media presence. Gotta get that going! And there's much more, I'm sure. It's a little bit daunting, but also a tad refreshing and I'm looking forward to get back in control of my life! My Dining Room Set Is Here! 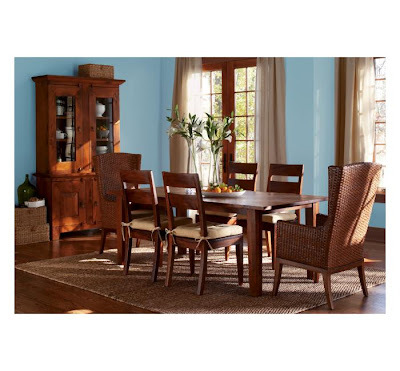 My Dining Room Set Is Here! Look out Atlanta, here we come! Can you believe it? The conference is here! The conference is here! Our bags are packed, outfits have been picked, packages have been sent, cocktail menus are finalized, presentations loaded, shoes selected, swag bags need stuffing, and it's time to listen, become empowered, and mix and mingle. We hope to see you there and if you weren't able to make it this year, we hope that you'll follow the conversations on Twitter, blogs, and elsewhere. We can't leave without saying thank you to everyone for your support, encouragement, and help over the last 8 months. We appreciate all of you for what you've done to help make the inaugural Blogalicious Weekend a fantastic sold out event. Amazing! Check out the complete conference guide here: Blogalicious E-guide. It's full of important and fun information such as speaker bios, what to wear, the detailed agenda, party information, and valuable twitter handles! Special thanks to Justice Ny who worked for weeks and endless hours gathering all this information. We'll have so much to say, stories to share, and pictures to show you when we return. So check back soon! With all the chaos and last-minute details to take care of before Blogalicious, I'm so glad that I decided to sneak away on a girls weekend for some downtime (albeit while furiously checking and responding to messages on my phone). We've been laughing, shopping, talking and eating like crazy and tomorrow we're headed for the beach to hang out.